Join us for a night of New York vibes at EMPIRE Urban Cuisine, an artisic venue at Bund 1 that cooperates with highly renowned artist to give the interior that special feeling. 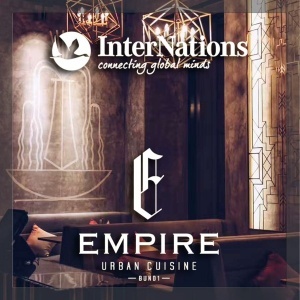 Empire will offer all InterNations guest 20% off food and beverages (that is included if you come early for dinner) AND buy-one-get-one on ALL drinks after 10:30. Also there will be a DJ mixing some chill urban beats. Don't miss it! As usual there will be wonderful people from literally all over the globe.